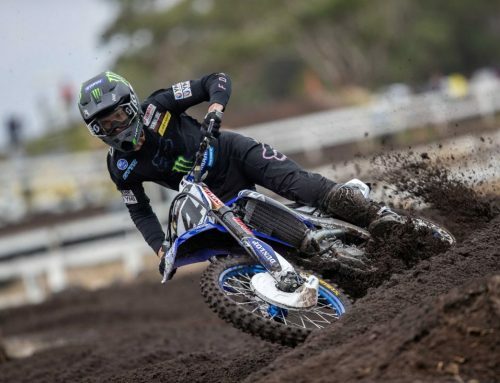 The CDR Yamaha Monster Energy Team turned in a stunning team performance at rounds seven and eight of the MX Nationals with both Dean Ferris and Dylan Long claiming race and round wins as well as podium positions in a hugely succcesful weekends’ of racing for the powerful Yamaha MX1 team. 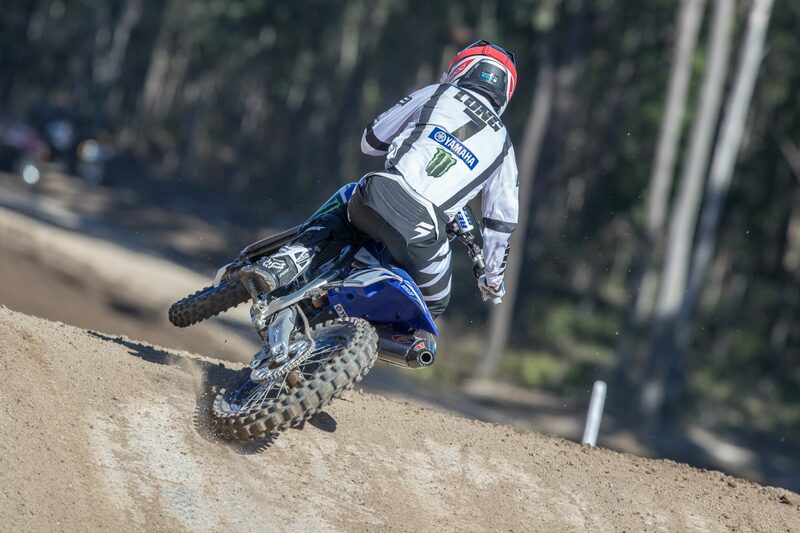 The MX Ranch circuit, near Newcastle, hosted a massive double header weekend of racing with rounds seven and eight of the MX Nationals held over the weekend. 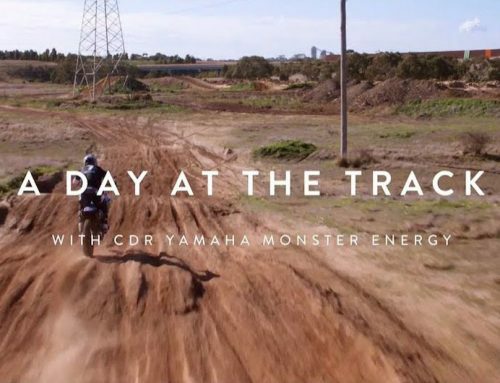 With a fast and flowing track, the racing was tight and intense and the CDR Yamaha Monster Energy team had plenty of reasons to celebrate after the weekend. Dean Ferris continued his round winning streak taking victory again on the weekend and now has racked up eight consecutive round wins in a row for the 2018 season. But, he didn’t have it all his own way and Ferris had to overcome challenges from his team mate as well as his rivals to secure his victories. Round seven saw Ferris shake off a spirited Brett Metcalfe to win the opening moto and then shadow his team mate Dylan Long in race two to cross the finish line in second place. The 1-2 results were good enough to stand on top of the podium and continue his relentless march forward in 2018. 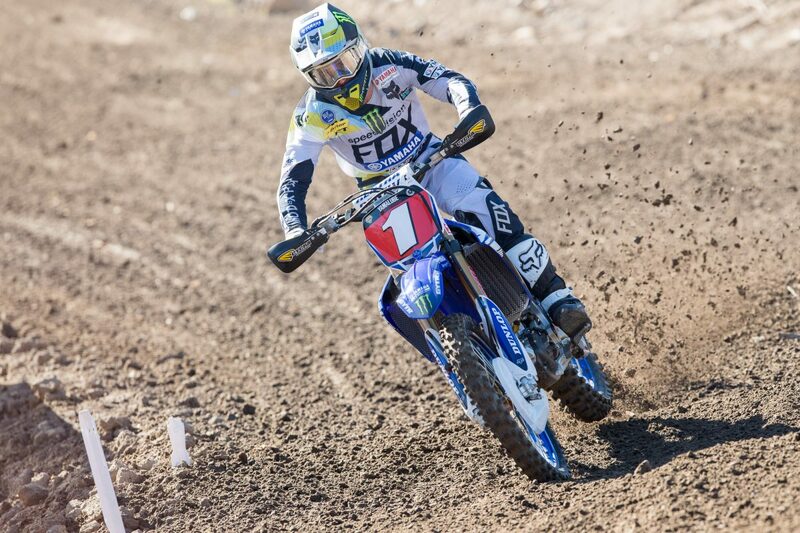 Round eight was built on perseverance and consistency as it was the first time Ferris wasn’t able to take a race win but his 2-2 results in the back to back format moto that highlighted Sunday’s racing kept his round win streak alive and he now has a massive 106-point lead over his rivals. With only 146 points available in the final two rounds, Ferris is edging closer to securing his third MX Nationals crown but remains fully focused on his quality of riding and not the results. “I was really excited to come to Raymond Terrace as it has been a while since I have raced here,” Dean begins. “The track didn’t separate the riders a lot and the top five or six of us generated a good speed and the racing was fast and one mistake would prove costly. While I didn’t enjoy being roosted, I enjoyed being in a good race and credit to the other riders as they were on the gas all weekend. “Sometimes you have weekends where you go 1-1 and it’s pretty easy, other weekends, like here at Raymond Terrace, you just have to find a way to win and I’m glad I was able to do that. It’s nice to know you can win when things are going perfectly but also rewarding to know that when it comes time to out race, out-smart or just be consistent, I was able to do it. 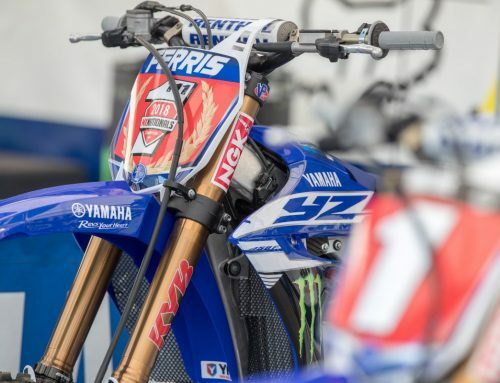 “Thanks to the entire CDR Yamaha Monster Energy team as the double header weekends take a massive effort from everyone and the guys always come through and to have Dylan on the podium with me is great for everyone here at CDR,” Ferris ends. Was this the break through weekend Dylan Long needed to kick start his racing to the next level? Long had shown flashes of brilliance during the year but on the weekend put four impressive races together to showcase his speed and skill on a dirt bike. Long finished sixth in the opening moto on Saturday but then rocketed to the front in race two and never surrendered the lead. He held team mate Ferris at arm’s length for the entire moto and fought off any attacks Ferris made as he charged his way to his first race win of the season and take second place for the round. With confidence high, Long proved his race win was no fluke and immediately backed that up with another race win in the first of the back to back motos to start round eight. He again charged to the lead and stayed there as a hungry pack of riders chased him around the Raymond Terrace circuit. He then took a fifth on the final moto of the weekend and his 1-5 results equalled third place for the round and his second consecutive trip to the podium. Long has now clawed his way to fourth in the championship. “Was a great weekend for me and one that I have been working hard towards for a long time,” he offers. “My starts were good all weekend and putting myself in such good positions in every race allowed me to ride the way I know I can ride. “My bike was unreal and being able to race with Dean this weekend gives me a lot of confidence as I know just how fast he is and how hard he works. It’s nice to leave a race meeting with my head high and proud of my results and I want to have this feeling every weekend I race my dirt bike,” Long said.